"... the CSO delivered a performance that a composer can only dream of ..."
"... Muti and the CSO threw themselves into the music with considerable mega-wattage of their own." The Chicago Symphony Orchestra commissioned composers-in-residence Mason Bates and Anna Clyne to compose these two pieces. 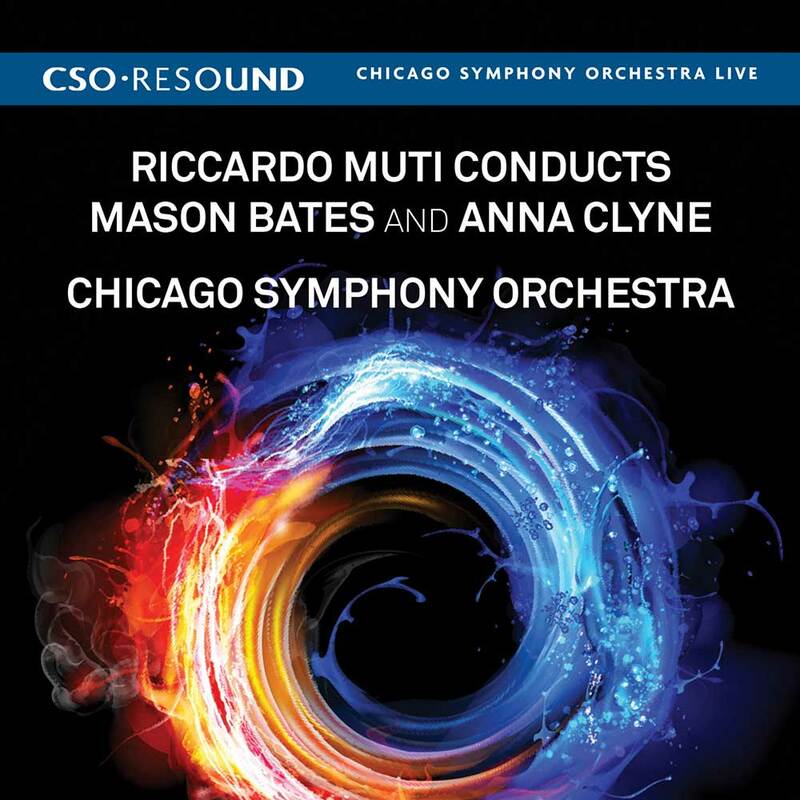 Recorded live at their 2012 premieres, Bates’s Alternative Energy and Clyne’s Night Ferry are conducted by CSO Music Director Riccardo Muti on this Grammy nominated album. Clyne says her work is a “sonic portrait of voyages; voyages within nature and of physical, mental and emotional states.” Inspired by Schubert, it makes reference to the mood swings heard in his works as they shift rapidly between emotional extremes. Bates calls Alternative Energy an “energy symphony,” which travels from a rustic midwestern junkyard in the late 19th century through ever greater and more powerful forces of energy until it reaches a future Icelandic rain forest, where humanity’s last inhabitants seek a return to a simpler way of life.